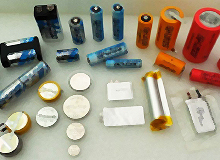 All batteries with laser-welded, glass-metal sealing. Recommended operational temperature range: -55oC~+85oC. Consult Q-Lite engineering when the temperature range exceeds -20oC ~ +60oC. 2/F, Bldg 1, HengGuangYao Ind. Park 113 Yonghe Road, Fuyong Town, Bao An District, Shenzhen, China CN-518103.